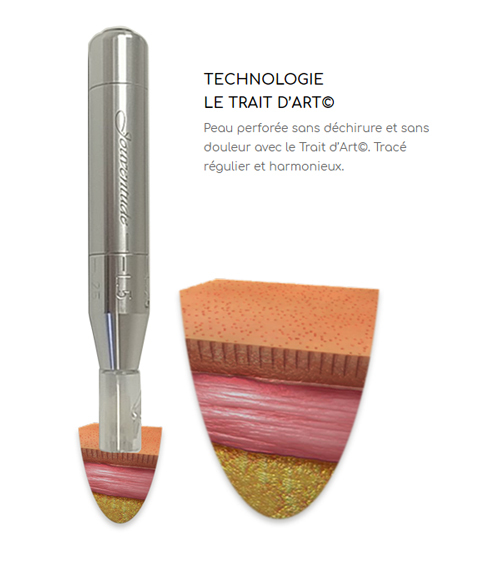 The Trait d'Art, for a perforation without damage on the skin . Technology TRAIT D’ART © is the culmination of many years of rigorous research into the mechanisms of skin perforation used in the field of aesthetic and medical care. The ultimate goal: to reduce the pain. This research has led to the development of a high-precision technology that improves the quality of skin perforation and overcomes the problematic of permanent damage to the skin by existing devices. Seven years of research and development, to observe and test the mechanisms of available devices on the market have led Perform’Art to develop its own technology, described as revolutionary by the National Research Council of Canada (NRC). It is in collaboration with engineers specialized in mechanics and electronics, and in concert with the NRC, that the Perform’Art devices were born in 2002. 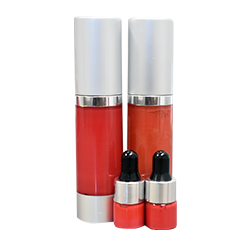 Much more impact at low speed, which allows great piercing of the skin and to introduce a maximum of color very soflty without tearing. With its one of a kind mechanism worldwide, this revolutionary technology provides a lot of impact at low speed and a precision in the needle mouvement. 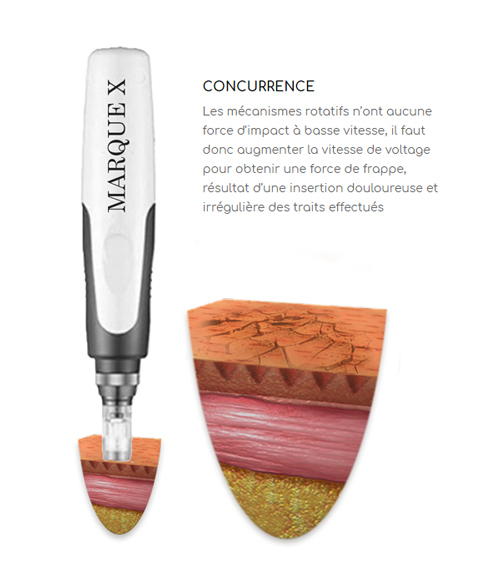 Our technology allows use to obtain precision of the needle mouvement on the skin ensuring a microperforation and a high safety removal, quiet powerful and almost painless. It is always a unique technology in the world, because of its patented mechanism. Explore our online shop. 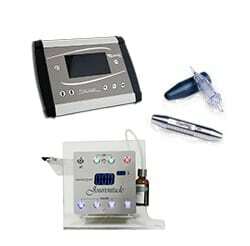 All our products are listed to provide the best experience possible. You can renew your stock of cartriges. Several sizes are available. Designed with good color stability, for a lasting effect and compatible with our devices.